Whether you are coming home from a trip or just visiting the beautiful East Bay, let our Oakland Airport car service take care of you in style and comfort. We can pick you up or drop you off at the OAK Airport, for a red eye or in the middle of the day. Whether it’s a domestic or international flight, our Oakland Airport Car Service is just a reservation away. We will get you to and from the terminal on time, any day of the week. If you are flying out of Oakland International Airport, give us your flight info and our professional trained chauffeurs will be waiting. We’ll pick you up from your home, office, hotel, or any other location. From there, you will ride in luxury to the Oakland airport. Meanwhile, your car will be safe at home, rather than in a parking garage while you are on your trip. Whether you’re traveling solo or with friends, you don’t have to contend with strangers and their luggage. Our chauffeur will handle the luggage while you start your vacation or trip early, relaxing or getting that last bit of business done before the flight. Traveling in a group? We’ll pick up your party members and no one else. You won’t have to wait for anyone else – simply reserve a spot 24 hours ahead of time. No more waiting for taxis, waving frantically only to find the taxi is already in use. 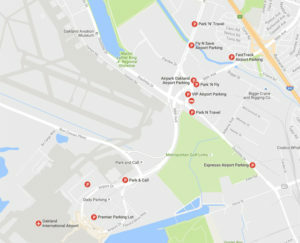 With our Oakland Airport car service, you won’t have to deal with the nightmare of trying to find your car in the parking lot – even if you do remember the lot number. Our Oakland Airport Car Service gets you there every time on-time! Security checkpoints can be fast or alarmingly slow, depending on the day and time. Our chauffeurs will guarantee that you arrive at the terminal with plenty of time to spare. You’ll get through security and be able to browse the newsstand or grab a coffee and bagel. Your flight will be free of the stress. No more worrying about what you will do for transportation once you land. Our friendly staff will be waiting at OAK airport to pick you up in one of our luxury vehicles. Our Oakland Airport Car Service is an affordable alternative to taxis and limos. Don’t cram into an airport shuttle like a sardine in a can – make a reservation with us and you’ll ride in style and comfort. If you need transportation around the Bay Area, our chauffeurs are available for hourly transportation as well. 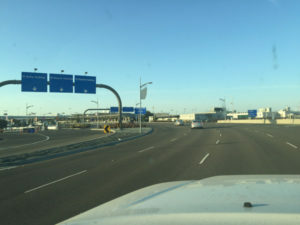 Are you connecting a flight at SFO but arrived at Oakland International Airport? Bay Area Car Service can ferry you between OAK and SFO. 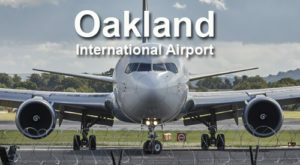 Call our Oakland Airport car service and one of our chauffeurs will be waiting to connect you between your flights. Are you flying in to see the Golden State Warriors play? If you’re a die hard fan and you’re flying out to support your team, give us a call and we will take you to and from the Oakland airport in style. Are you flying into Oakland Airport to visit the Napa Valley? Learn more about our Napa Valley Car Service. The weather is starting to break and its time to plan a nice weekend getaway. Ready to make a reservation? Call 1-800-380-9788 or book your Oakland Airport car service here. Our Oakland airport car service will be ready to transport you to any destination in the Bay Area. Learn more about our Napa Valley Limo Service. Flying is or out of SFO? Visit our SFO car service page. Book your Oakland Airport car service today.